Contact Sonia's Auto Sales today for information on dozens of vehicles like this 2015 Honda CR-V EX. This versatile SUV is perfect for families or contractors with its oversized cargo area, exceptional horsepower and option upgrades. Stylish and fuel efficient. It's the perfect vehicle for keeping your fuel costs down and your driving enjoying up. 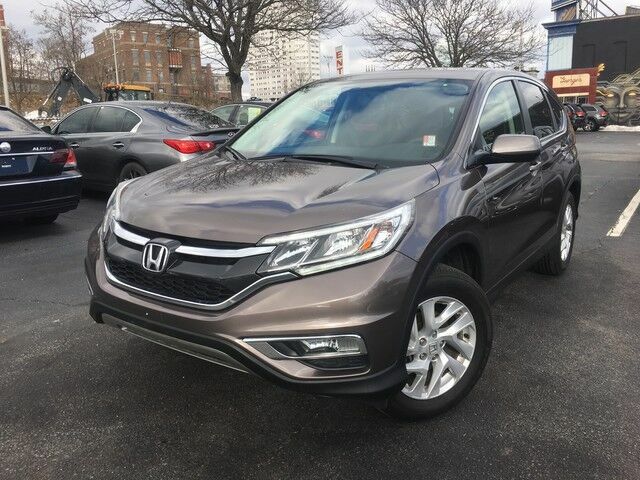 This Honda CR-V EX comes equipped with all wheel drive, which means no limitations as to how or where you can drive. Different terrains and varying weather conditions will have little effect as to how this vehicle performs. This low mileage Honda CR-V has barely been touched. It's the next best thing to buying new. Tires can be an expensive maintenance item. Luckily, this vehicle's tires are newly installed, so you've got miles and miles to go before you need to replace them. This wonderfully maintained Honda CR-V is in the top 10% of its class when it comes to cleanliness and condition. More information about the 2015 Honda CR-V: Honda has a successful formula for their compact SUV and they see little reason to deviate too much. All CR-Vs come with a capable 4-cylinder engine, a cleverly designed interior and compact exterior dimensions. This is all wrapped up in attractively designed sheet metal and sold with available all-wheel drive at a competitive price. While some competitors have allowed their vehicles to balloon in size, features and price, Honda has steadfastly stuck to the winning formula that has made every generation of CR-V a success. Strengths of this model include well-equipped, Practical, and available all-wheel-drive.